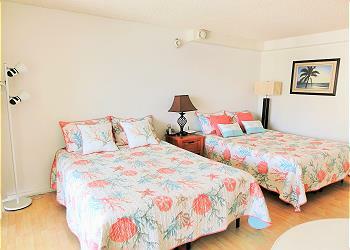 Aloha Surf #709 - Cute studio in the heart of Waikiki! Within walking distance of everything. 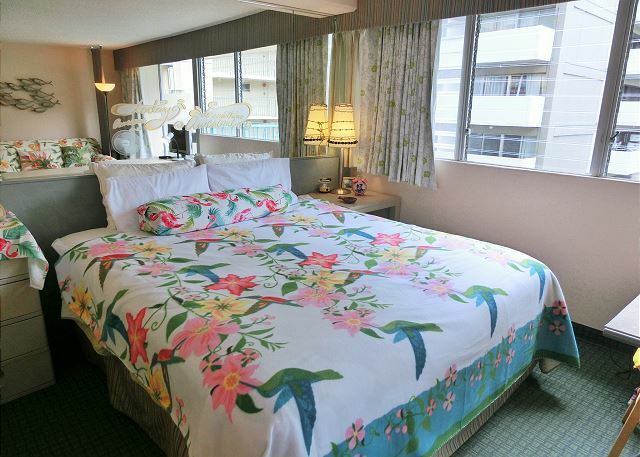 The Aloha Surf is a popular hotel/condo with great amenities located on a quiet street in the heart of Waikiki. The lobby area is inviting with lots of space to meet your friends, family, or other visitors. 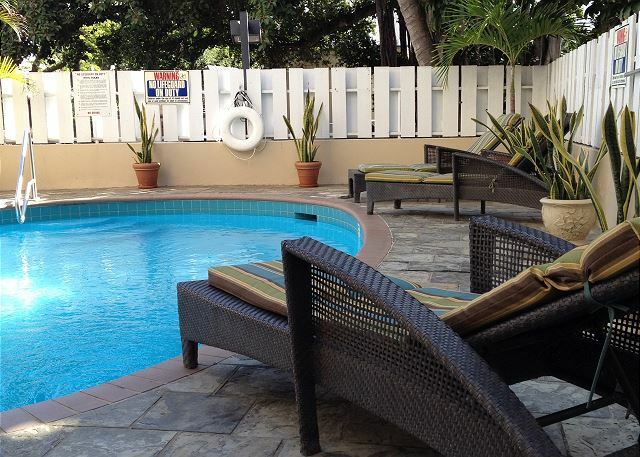 Hang out at the pool that is just around the corner of the lobby and has a picnic table and chairs or work out at the gym near the pool. 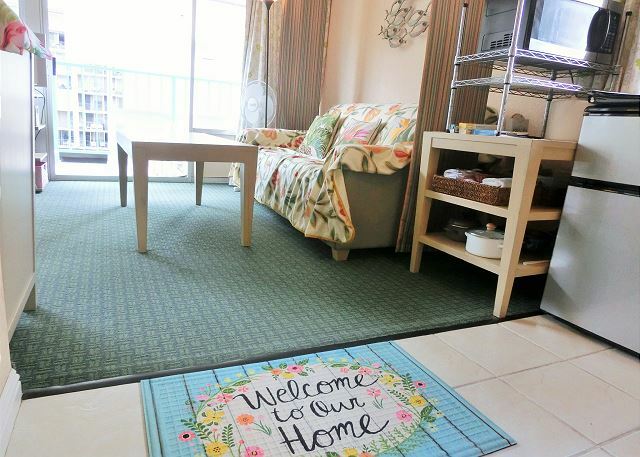 The unit is perfect for solo traveler and is within a 2-minute walk to a grocery store! 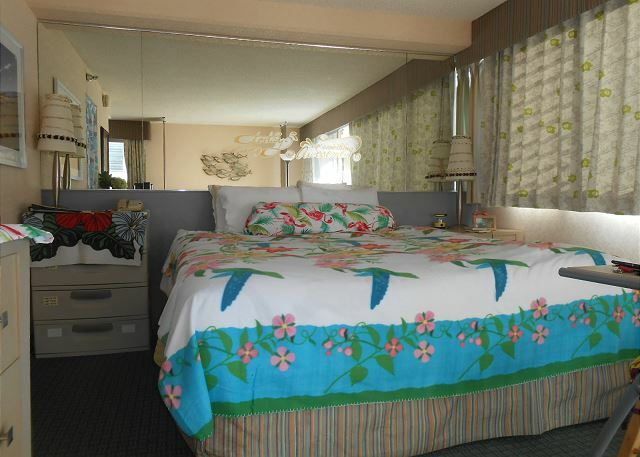 This charming unit is comfortable and great for the solo traveler or a couple. 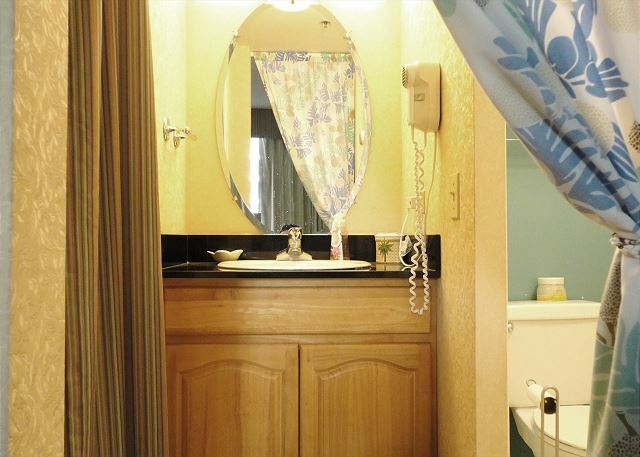 Room has a compact kitchenette and a work desk which is ideal for the business traveler. 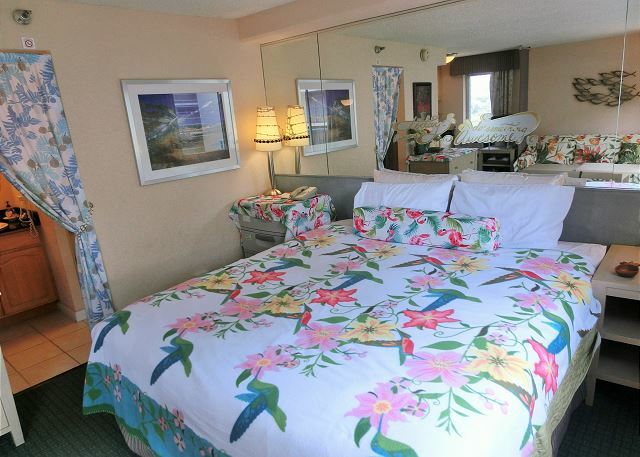 One king size bed decorated with a Hawaiian quilt and a sofa bed for an extra guest. 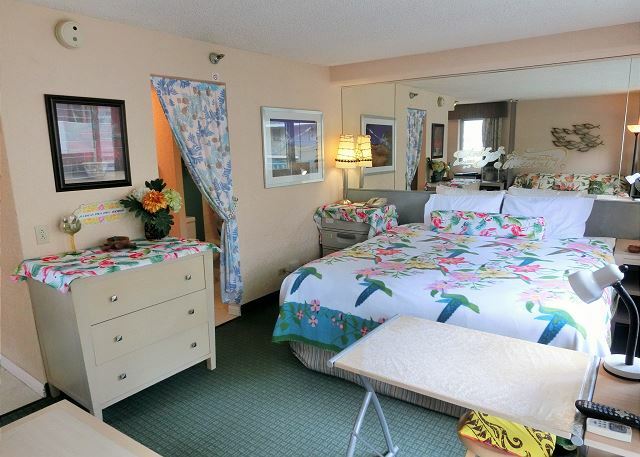 Cute Hawaiian interior gives an enjoyable and relaxing feeling during your stay in this quiet and friendly hotel environment. 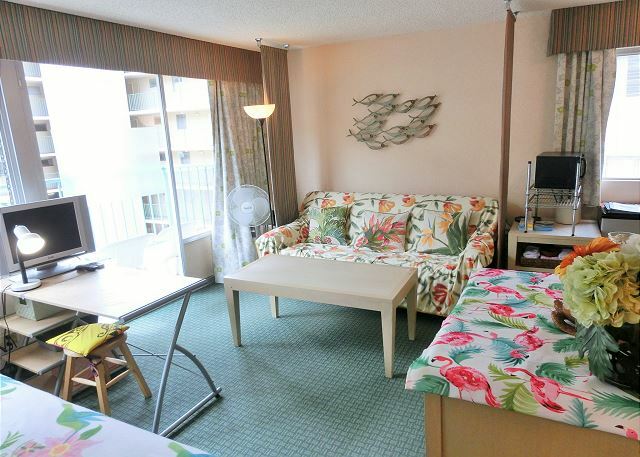 Included with your rental are free local calls, WiFi Internet(only wireless), and Hotel TV channel. 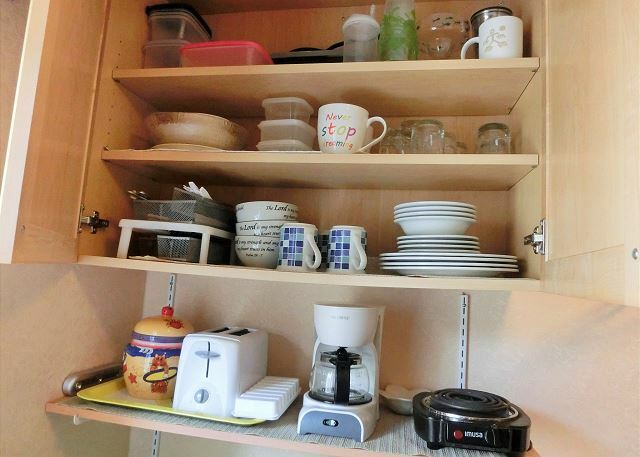 If you're staying for a longer period, there is a coin laundry area located in the basement level and the building offers parking to tenants for a fee. 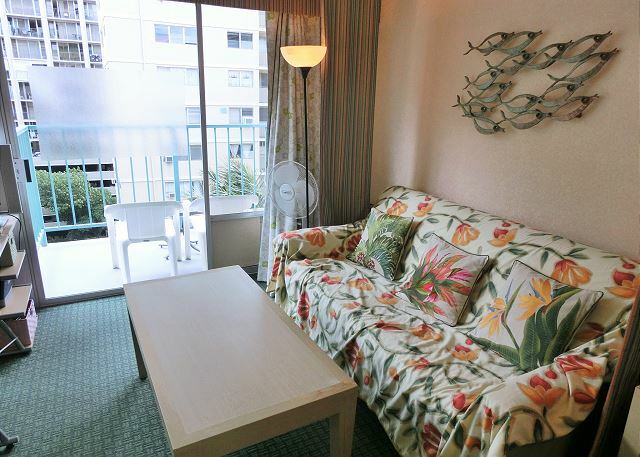 This studio is located in the center of Waikiki, therefore it's very convenient to do everything.I don't want to give anybody the information about this studio.Because it becomes difficult for me to book it.